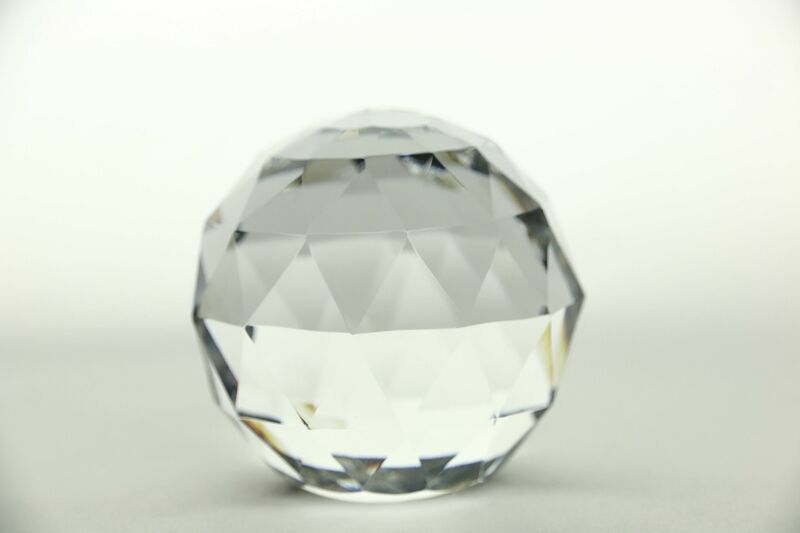 A blown and cut crystal faceted paperweight has an original label, "Made in Western Germany." There is no damage but there is a line on the bottom from when it was blown, see photos. Size is 2 3/4" diameter and 2 3/4" tall. See 4 photos on Harp Gallery website that enlarge to full screen size.